← Vietnam re-visited October 2015: Phu Quoc Island. Located in the centre of Oman’s East coast in Al Wasta Governate, it is a vast desolate area made up of sabkha (salt flats) and rocky ridges. There are no tarmac roads or facilities of any sort on this peninsula, Cell phone coverage is non–existent and the tracks and driving conditions are only suitable for 4WD. Arriving at the GPS point where the track heads away, down into the peninsula, off the Mahout to Shannah road, it was 1am and instead of camping up in the normal place off the main road, the decision was made to press on down the tracks to the southern coastline to set up the camp site. Traversing this area at night was an interesting experience, unaware of the surroundings, concentrating on picking out the tracks in the headlights, following a hand drawn route on the GPS, it was slightly disturbing when our route seemed to be crossing slushy wet sand. After an hour of heavily rutted driving, the beach was finally reached with no incidents. There is no help out here and a very long walk back to the main road! Throwing the tent up in 10 minutes is now a perfected art and after a small relaxing drink, it was time to hit the self-inflating mattress … the best camping buy I have made. Waking up at sunrise to the most magnificent view was a stunning experience. The tent was just above the tideline on the dunes above the clear, calm turquoise water, with white, white sand stretching in every direction. Unbeknown at 2am, the chosen camping place was a small sand spit, with a lagoon behind, full of birds. It was just magnificent. The day was planned to drive up to the furthest point of the peninsula to the north checking out the beaches for shells and wildlife. Low tide was optimum for this at mid-day. 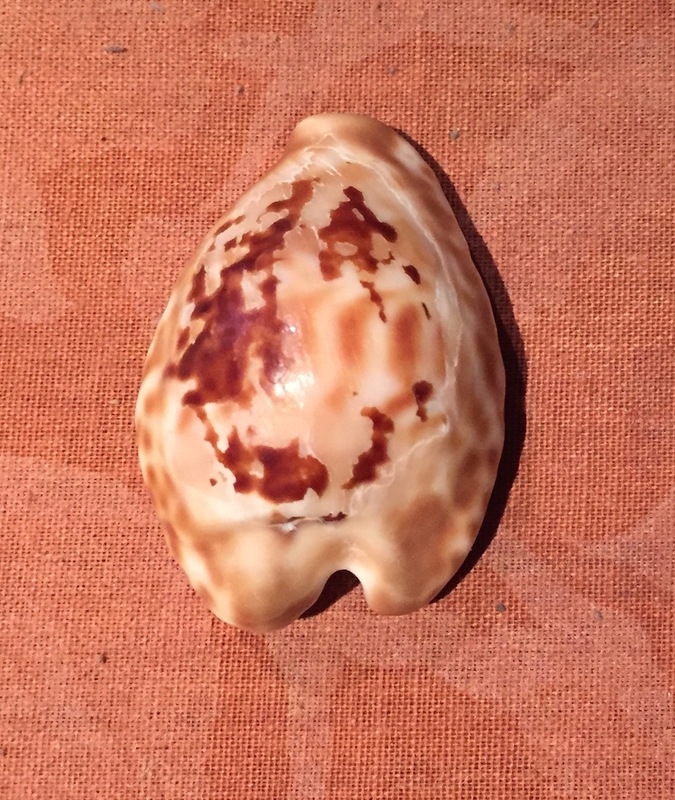 The very first beach find here was a slightly worn Barycyprea teulerei, an elusive and desired cowrie, sadly over-collected on Masirah island, but still known known to be in several locations on Masirah and similar areas on the S.Oman coast. Collecting looked promising for the day ! Worn, but still a treasure…. As the track ran behind the beach area the decision was taken to run along the back of the beach. Care would have to be taken as there is no passing traffic and the first attempt on full tyres resulted in a no-brainer decision to lower the psi to 20 to get off the soft beach sand and back to the track. I managed to get in some images of passing fishing boats, it was about 7am and the sea, like glass, merged into one with the horizon. 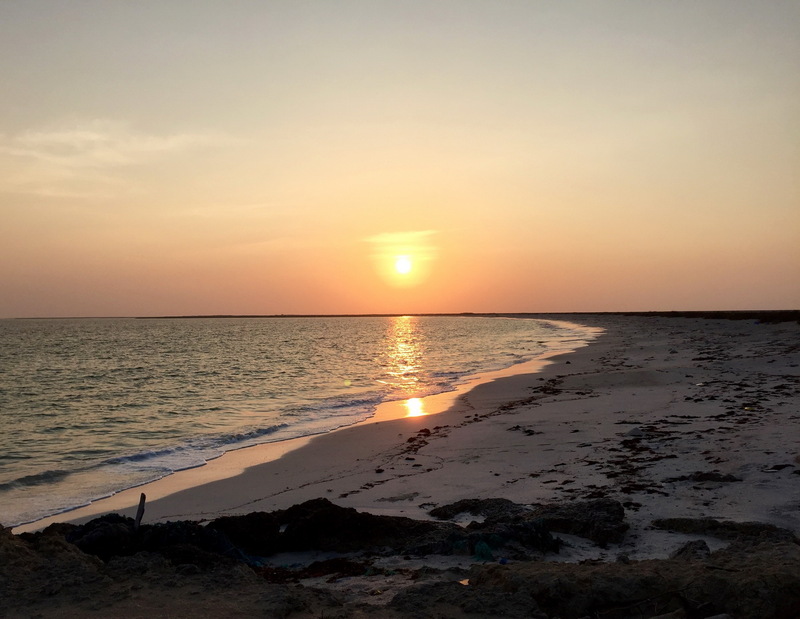 Hitting the eastern side of the peninsula opposite Masirah, the difference from the clear sandy beaches to mudflats and offshore reefs was very apparent. At its lowest, the tide retreated to about one kilometre out. In several places, walking out to the furthest point exposed corals and we saw guitar fish, cuttlefish, sting rays, cowries and red sponge. Interestingly, the variety of shellfish was not vast, similar to the finds on the West coast of Masirah, but for such a rich marine area, I was surprised not to find more species and sadly there were no more Teulerei to be found on the beaches or in the exposed tidal area.The disappointment was tempered by finding a live Scutus unguis, with its large mantle exposed and a live Cypraea caurica. The bird life is spectacular, flocks of flamingo out on the tide line, herons and other wetland birds, a twitcher’s paradise. The area is primarily known for its wetlands and is a sanctuary for wildlife. Flamingo searching for food .. Heading on to the northern part of the peninsula, the rough terrain gradually turned into vast sabkha plains, but the tracks were well defined and well used. So long as you remain on the tracks there is no danger of sinking. There are many fishermen’s huts in various state of disrepair, scattered along the ridge behind the sea and we saw a few fishermen on the traverse. Finally the furthest point was reached and as there is a sea inlet here, before the sabkha to Shannah port, there is no route to cross by car. A couple of kilometres back there were signs of tracks into the vast sabkha plain, matching the Google earth track; at this point it is only 7kms back to the highway, so it was time to try it. Within a few hundred metres, travelling in one car only, with no backup, the decision was made to turn back. 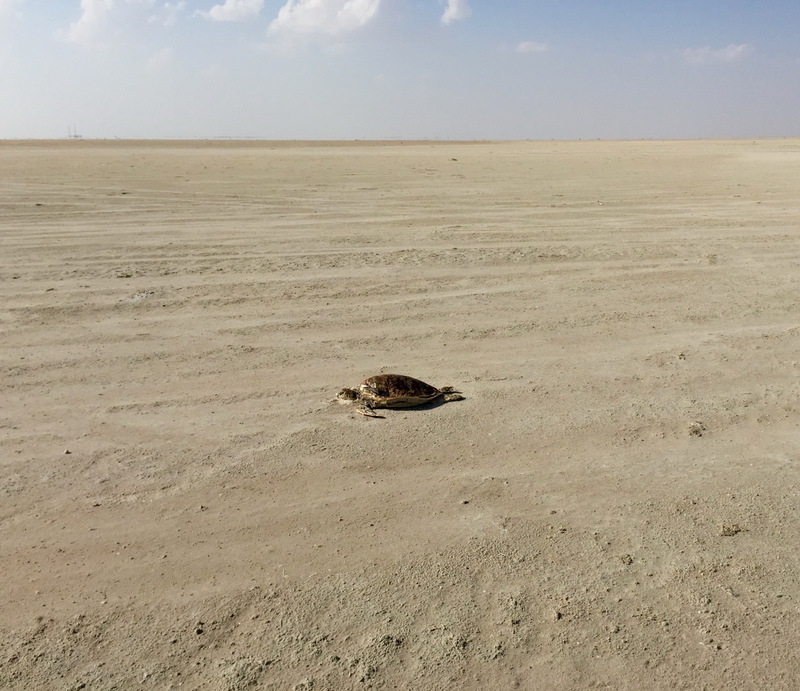 Sabkha plains, closest to the sea, have a salt dried crust above wet sand; if it breaks, it could be a disastrous sinking experience, so it was time to return to the safer ground on the coast to find a camping spot for the night. Around 4.30pm the spot was found on a small headland above a white sand bay, the sea stretching out into infinity, with scuttling crabs the only visible life form around. A perfect place for the barbecue and relaxing, watching the sunset. The next morning, after a glorious sunrise, the camp was packed up. 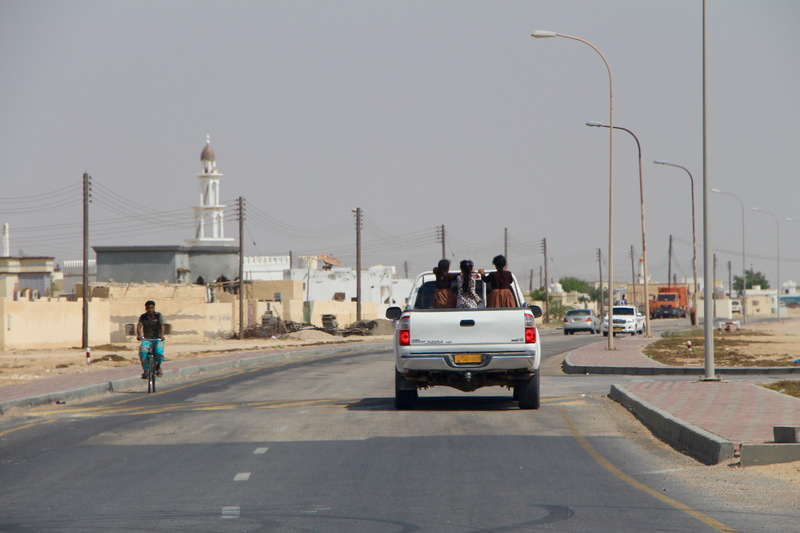 There was a long drive ahead back to Dubai, and that included a slight detour to Filim on the other side of the peninsula and the surrounding wetland area. Google earth marks a track across the southern end of the peninsula inland, so having already done the coastal track it was time to try the inland one. The area is marked as on geological maps as a shell fossil area, so I was interested to see this. The track is across sabkha, but it wasn’t wet on the marked track. It was a spectacular drive across sand plains, which seemed to stretch to infinity. Only a flat horizon visible from all directions and the surface is made up of millions of small bivalves, from a time when this area was subject to tidal flow. Eventually the original track appeared on the GPS and it was time to head back to civilization. There were a few silent prayers of thanks as we traversed the track done alone in the dark on the Thursday night … having had no idea of the terrain, we we were very relieved that there had been no incidents- wet sabhka surrounded the track for miles and deviation could well have resulted in a very long walk back to Mahout . After filling up the car in Mahout, it was then back to the turning to Filim. 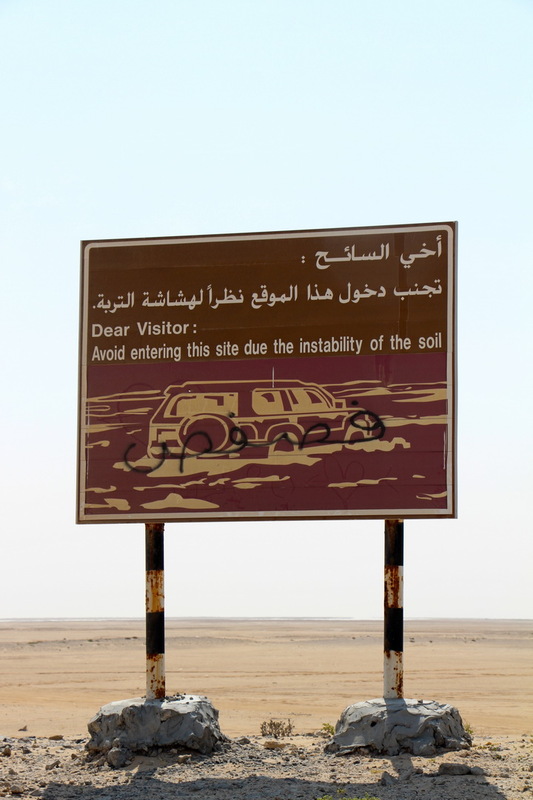 In Oman, all sites of interest are marked by brown road signs and several islands were on the brown sign. It looked promising, but Filim in reality is a small, rubbish filled beach on the edge of the wetland, swamp area ,with a few fishing boats, abandoned buildings and a dead end road. I’m really not sure why the islands are marked, there seems to be no way to get there without arranging it with a fisherman. Further back along the Filim road there was a dirt track turning to As Ghonda, so as it was only a small deviation, it had to be seen. 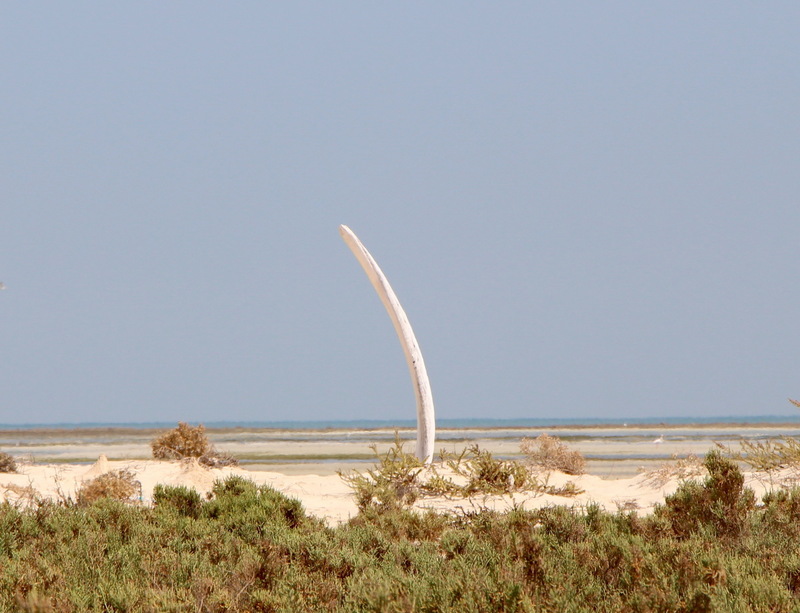 The dirt track led down to a rubble built causeway across sabkha and wetlands and on the other side, more fishing huts and plenty of activity. A walk out onto the mudflats yielded only clams, with no other signs of activity. Fishing family working … the bunny finger pose has reached this remote area ..
Time to leave this beautiful, barren area and head back to the big city. To make a change in the monotonous drive back across to the Muscat to Salalah road, the decision was made to re-visit the route to Sinaw. 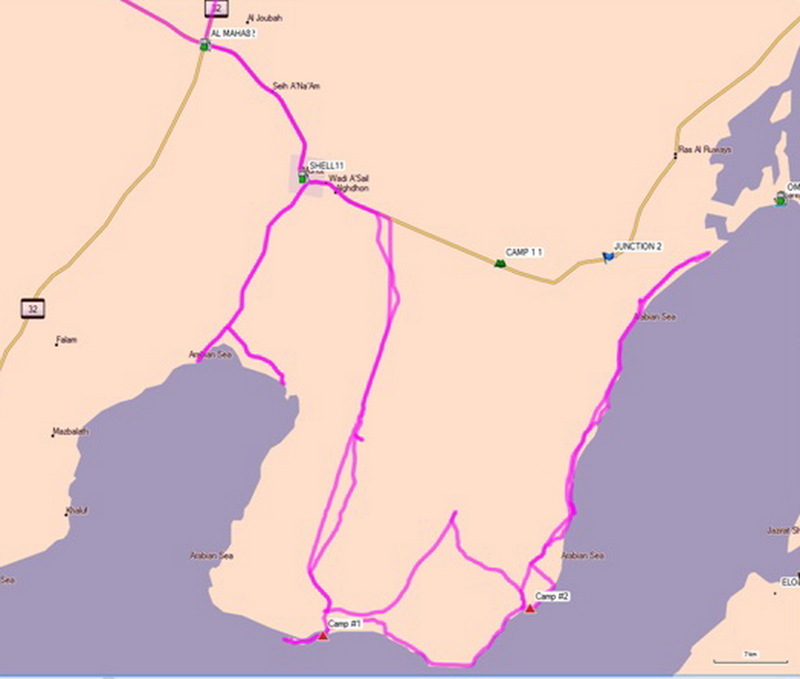 This route was used on my very first visit to Masirah and it was a desolate and lonely drive 3 years ago. Now it is being used as the main truck route to Muscat from the new port at Duqm, 190 km south of Mahout and a new road is being built alongside the original road. and there is always a camel photo opportunity in Oman …. The development of the Oman road network is very impressive and when this is completed, it will be a vast improvement. Already new petrol stations are opening, and it seemed a very different journey than the lonely one travelled 3 years ago. A cross country traverse took us through some spectacular geology via the Western Hajar mountain range and crossing the border at Hafeet/Mezayed Al Ain crossing was achieved with little queuing. Love this! My kind of place…so I am going to reblog it as part of my International Travel Series. While I never traveled to Dubai, as part of my job for five years (International Training), I sent many teams of instructors here. They all LOVED it! And now I see why. I took the time to really enjoy this post as well as several others from this My Travel Middle East blogger! 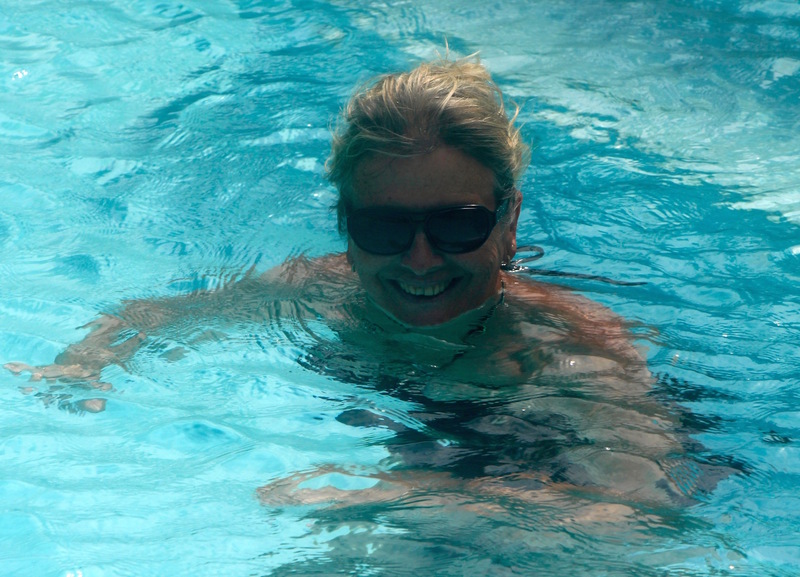 Thank you so much for taking time to visit my blog and comment. Its really appreciated and gives me renewed enthusiasm to post more ! Any chance you can email me the gps tracks you actually took.. I am looking at “cutting off the corner” of the tarmac road, while driving from duqm to ras al hadd..? Hello Clive, I can send you via email tomorrow when I am back in Dubai, however, the track we took won’t cut off the tarmac corner, Barr Al Hickman runs south of the road but there is a huge area of sabhka across the mouth of the inlet just north of Filim. I think it would be difficult to cross-country as there are vast sabhka plains across the corner plus some rocky, semi-mountainous terrain. We have travelled around the whole area and it’s probably best to stick to the tarmac. There is no phone signal away from the road and few people around, certainly no direct tracks to cut off the corner. Hi Clive, sorry not have responded before now, I have been travelling in Oman and am currently on Masirah. It may be too late now but yes there is a track off the Khaluf road, but when we attempted it last year, it was completely sanded over. We did do a run into Hickman from Filim, but it was after rain and the Hickman spit was waterlogged so had to turn back. Anyhow, once I’m back in Dubai, I’ll send you the GPS for the Hickman trip… it’s absolutely worth a visit, but it’s lonely….! No probs, just when you get the time to do it… it will be interesting to see.. How is the weather on Masirah at the moment..? very windy..? hot or too hot..? 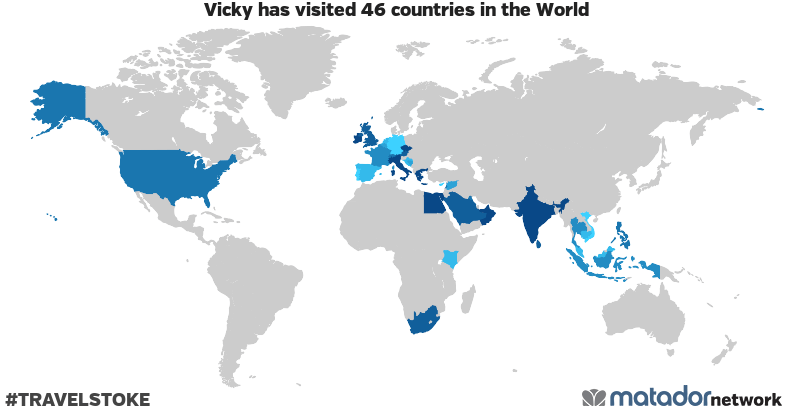 Hi, I’, going to Oman second time now and found this website…..is it possible to send me GPS track for this trip to Bar All Hickman if you still have it? Hi Gregor, sorry for the delay in response. I’m not sure we still have this track, I’m sorry. Just to advise, it’s 4WD only, inadvisable to travel in a single car, no mobile signal and sand driving experience absolutely necessary. You can pick up the tracks on Google earth, the main entry in is on the road outside Mahout to Shannah. We went again last year and a lot of the peninsula was impassable closer to Shannah port, as the estuary area has changed and the sand was very wet. Depending on your experience in the sand, it’s difficult terrain, carry plenty of water & food, it’s around 60k back to the road if you run into any trouble.